Setting up remote offices used to be a significant ordeal. Nowadays, however, modern approaches to establishing remote offices have changed the dynamics and eliminated costly hurdles. From top to bottom, the modern approach is virtually (pun intended) different than what it was years ago. More so, today’s offerings are favorable to organizations of all sizes. The biggest benefit: companies no longer need to worry about long lead items and expensive infrastructure that can be difficult to implement. Below are four areas in which organizations see significant enhancements to remote offices: . – Physical Space – While the physical space of an office is still needed, the method by which many organizations now lease space has changed. Short-term leases are now possible within existing companies or startups, as is selecting a co-working space as the remote office. Even larger spaces, ones that offer room for development or creative teams, can often be procured in a cost-effective manner, due to how organizations set up offices to be open concept. Companies choose open floor plans because they require less buildout, less lead time to create, and are less expensive. Because open concept is less expensive to create, the landlord should be willing to pass along the savings, as well as be more flexible considering the space can be reusable much more quickly and without additional expense. – Internet Connectivity – Once upon a time, ordering the Internet connection was the largest hurdle to overcome, because it required the longest lead time and usually involved multiple providers. Not to mention, the local phone company would be involved, slowing down the process and increasing cost. Today, organizations can order cable DSL, or they can lease an office already equipped with high-speed, secure Internet connectivity. Additionally, organizations nowadays don’t need to purchase expensive MPLS networks or VPNs to connect their remote offices back to the headquarters. Remote offices today can simply be on the public Internet, and users can connect directly to the IT resources they need to access. Directory-as-a-Service® is a primary reason that is now possible. No longer do endpoints need a private network to talk back to the Microsoft Active Directory server. Each endpoint can securely authenticate to a cloud directory service. – Local IT Support – Today’s IT management tools enable IT admins to remotely manage their users and all devices. Since users leverage the platforms they want, the IT admin tools must be platform independent and, because of today’s location-independent working environment, delivered from the cloud. The upshot is that companies can save expenses since these tools replace the need for a local, onsite IT admins. Instead, remote IT management tools connect admins to the endpoints, and policies and tasks can be executed with a few keystrokes. What’s more, the device management capabilities of Directory-as-a-Service allow IT admins to execute tasks on Windows, Mac, and Linux machines. – Employee On-boarding – Connecting users to the IT resources they need it often a challenge. The on-boarding process can be difficult, but True Single Sign-On™ solutions have made the process much easier. Simply put, the IT admin makes one setup step: Adding the user to the cloud-based directory service. That one step then ensures that the user has access to the systems, applications, and networks that they need. Years ago, setting up remote offices was expensive and time consuming. Many organizations chose not to expand or offer remote opportunities for those two reasons. However, the modern office, like the technology that supports it, has made incredible strides. The process of setting up a remote workspace is far easier and cost-effective than in years past. Directory-as-a-Service has helped to simplify user and device management, too, so that IT admins have the control they need, regardless of location. 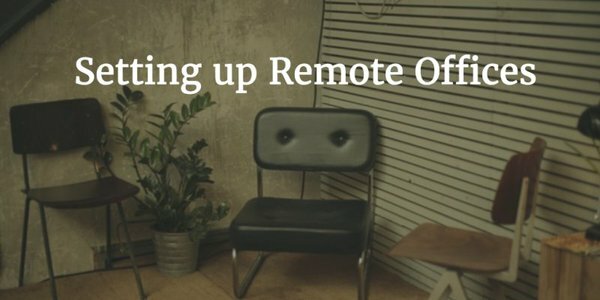 To learn more about how you can eliminate the overhead of a setting up a remote office, drop us a note. We’d be happy to share how our platform is being leveraged to eliminate MPLS networks and legacy directory services. Also check out our eBook, Modern Techniques for Faster IT.